PARKERSBURG – WVU Medicine Camden Clark Medical Center, in collaboration with Highmark Blue Cross Blue Shield West Virginia, is encouraging its employees and area residents to develop the healthy habit of walking with the annual “Walk 100 Miles in 100 Days” program. A kickoff event will be held Monday at 11:30 a.m. in front of the Parkersburg Municipal Building, weather permitting. 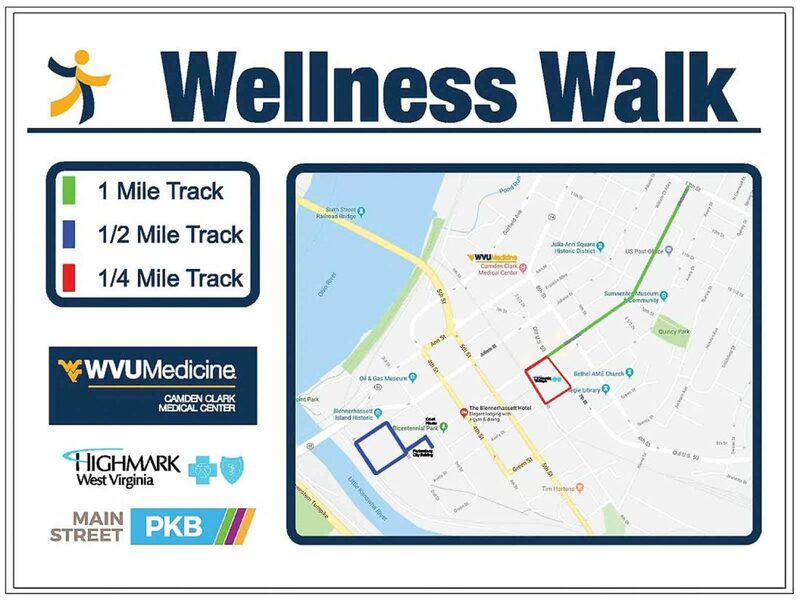 Officials from WVU Medicine Camden Clark, Highmark West Virginia and the City of Parkersburg will invite participants to join them for a brief walk around downtown Parkersburg to officially kick off the walking challenge. All community members and downtown businesses are invited to attend. The 15-week program, which runs from April 16 through July 24, encourages participants to walk at least one mile a day or more for 100 days as a form of physical activity. Participants can track and record all miles completed, and there is no cap on number of miles walked during the challenge. Three walking routes – in quarter-, half- and one-mile increments – have been mapped out in downtown Parkersburg to make it easier for participants to track their mileage. A walking map with these route options for walkers can be found near the Parkersburg Municipal Building, as well as on the Downtown PKB website. Community members or local businesses interested in participating in the walking challenge can find additional details at http://wvumedicine.org/thewellnesscenter. The deadline to register is Friday. 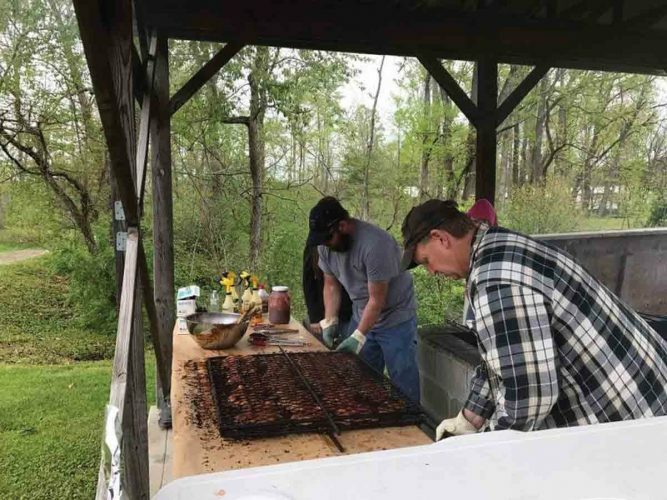 In addition to the “Walk 100 Miles in 100 Days” program, WVU Medicine Camden Clark and Highmark West Virginia have also partnered on other health and wellness initiatives, including the SoleMates Walking Club and the Wellness Wednesday Lunch and Learn series. SoleMates is a walking program held at Grand Central Mall that encourages people to choose a healthy lifestyle through walking. Wellness Wednesday is a series that focuses on health, wellness and lifestyle lunchtime conversations.